Some great Tiderace exposure in this months Canoe & Kayak Magazine. 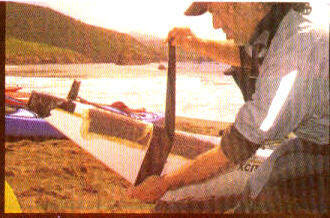 C&K got there hands on a Tiderace Xcite for a gear review down in Baja. The boat was given a big 10-4. Unfortunately the test involved ramming the boat nose first into the cliffs. Fortunately not one of ours...but sure glad we declined their offer to review a Mega boat. 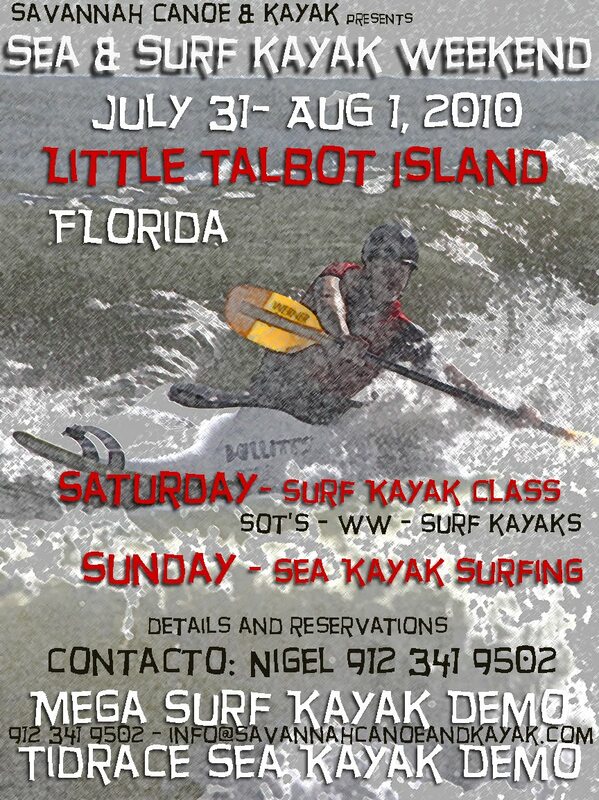 We will have Tiderace and Mega boats available to demo in Florida at the end of July. No cliffs there, just beaches and surf. Give us a call to make the necessary arrangements. With more than five miles of beautiful, white sandy beaches, Little Talbot Island is one of the few remaining undeveloped barrier islands in Northeast Florida. Maritime forests, large dunes, and undisturbed salt marshes on the western side of the island allow hours of nature study and relaxation. The diverse habitats in the park host a wealth of wildlife. River otters, marsh rabbits, bobcats, and a variety of native and migrating birds can be seen here. Did we say it's got great surf ? Little Talbot Island is an exposed beach/pier break that has a fairly consistent surf throughout the year. Little Talbot Island State Park is located east of Jacksonville and south of Amelia Island just south of Big Talbot Island State Park along Highway A1A North. We've all seen the BBC footage of David Attenborough getting up close and personal with some form of wild species. And poor old Steve Irwin's closeness was his downfall. But it's become frequently common to see so many pictures of people in far away destinations interacting with wildlife at very close quarters. The interaction is usually for a photograph that we really don't want to see...because the human looks out of place, disrespectful and often silly. Expedition sea kayaker slide-shows to the Faraway Isles are often laced with such cringey shots. So nowadays, of course, there are strict guide lines for interaction with marine wildlife, particularly for dolphins and sea turtles, released by The National Oceanic and Atmospheric Administration, Office of Protected Resources. • Remain at least 50 yards away from dolphins. • Limit your time observing an animal to 1/2 hour. • Do not encircle or trap dolphins between boats or the shore. • If approached by dolphins while boating, put the engine in neutral and allow them to pass. • Never attempt to swim with a dolphin. Leave the water if approached by an animal while swimming. Tybee Throws a Fit ! It's a 'fitness' fit with TV celebs! July 2nd at the Tybee Pier. Free !! A day of activities at the beach aimed at reducing ever expanding waistlines and increasing heart rates and health. Pregnant males and beached basking whales beware...they are coming for you ! Our advice..don't worry..we'll be eating ice cream on the sofa by 2. Purchase your tickets in advance and save your stub for a great door prize drawing! You could be the lucky winner of an Epic Carbon Fiber Paddle!!! with several more prizes to come! On January 19, 2009 Freya Hoffmeister got in her kayak to begin what is considered to be one of the most challenging trips in the world of sea kayaking. 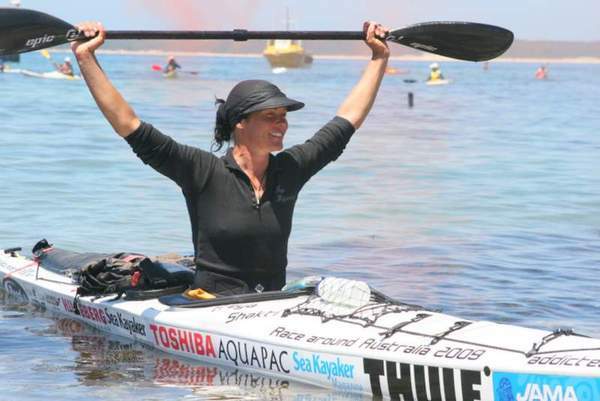 After 332 days, 245 paddling, 13 nights afloat and 5 time zones, Hoffmeister became the first women to circumnavigate Australia on December 15 2009. Don’t miss Freya in Charleston at the James Island Terrace Theater on Maybank Highway at 7:00 pm on Thursday, June 24 to share her trip with you. Tickets are $20 and are for sale ahead of time. Please call Coastal Expeditions 843-884-7684, with your credit card ready, to purchase tickets. Every year tens of millions of sharks die a slow death because of finning. 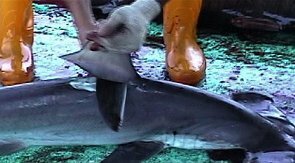 Finning is the inhumane practice of hacking off the shark's fins and throwing its still living body back into the sea. The sharks either starve to death, are eaten alive by other fish, or drown (if they are not in constant movement their gills cannot extract oxygen from the water). Shark fins are being "harvested" in ever greater numbers to feed the growing demand for shark fin soup, an Asian "delicacy". Powerful and majestic creatures, sharks are vitally important to our waters, helping balance marine ecosystems in their role as predators. But each year, millions of sharks are prey, brutally maimed and killed just for their fins. The Senate is poised to take action on a bill, the Shark Conservation Act, that would end shark finning in US waters and make us world leaders in shark conservation. 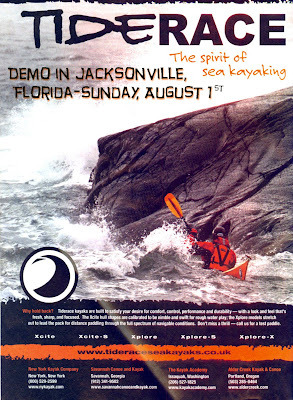 We just wanted to thank all our customers and everybody else who came out on Saturday to the Kayak Races. We have not yet recieved the full results except that the Marine Science Center won. 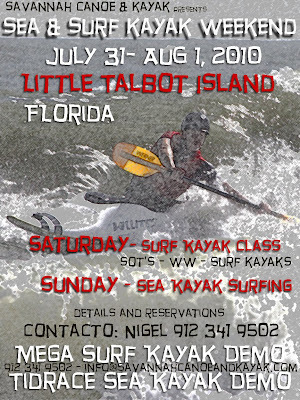 Altogether we had over 50 racers in a wide variety of paddle craft competeing on calm waters and sunny weather. Big thanks also to all the volunteers who made the event possible. Full race details coming soon. We are not sure why he is up for Savannah's Hottest Single, but he is friend and that makes Brian Jolly hot enough for us. He is not a 'know it all, done it all', techy camp store smarty pants trying to sell you what he thinks you need. He is not trying to save the albatross, nor is he a flashy dresser in a flowery shirt. I suspect he does not have a leather briefcase or drive a BMW. He is a very likeable, laid back guy who can tell you the best pubs in town, some great hikes in GA and he'll let you borrow his kayak or paddle board, no questions asked. Give his beard a comb and he could probaly get you a good deal on a new tent or sleeping bag ! Savannah hottest Single ?...sure, why not? Race Registration and sign in opens at 7.15am on the deck at AJ's. If you have not yet completed a registration form and sent it in, you can do so on the morning of the race. Just make sure you are there prior to 8am. Give yourself enough time to get your boat down to the dock and fill out several forms. The event should wrap up around 1pm, after prize giving and trophies. 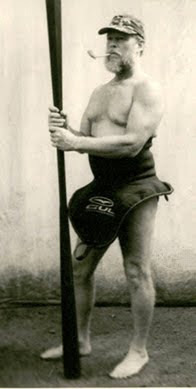 Capt'n Steve is the man to beat, seen pictured here in his 'go faster' kayak attire. The Capt'n will be on the dock giving tips and insider info just prior to the start of the Little Tybee Challenge. Mega Bullitt S - Feedback for New Owners. Tom has been surfing all his life and recently took delivery of a new Mega Xtec Bullitt S. He sent us some excellent feedback on the boat that we thought would be useful to our other Bullitt owners. I've surfed all but one day since taking possession of the BullitS. Really liking it, as finally getting the fitting dialed in. We've had some very good days here, especially Easter Week. Ended up using only 3" side fins about 1" from the back. The boat does some nice reentries and flips through the lip. I attack the waves somewhat different from the Reaction. Very fast, really easy to generate speed from the tail using a hip turn. The boat is exceptional in staying with a peak and covering a lot of ground. I haven't even been on the Reaction since taking ownership. The foam seat ended up around 3" from rear cockpit covering the first inch of the trailer fin box. I modified the back support and set it 4" from the cockpit rim. Made rectangle foot supports blocks (glued in) as the blocks supplied put too much pressure on the carbon fiber bow (it bowed out somewhat when using them). The fins placement was funny, side fins too far forward and the Bullit really tracks bad. Too far back and yours turns were sluggish. Spinners are not quick enough so I'll try the 2.5" fins with maybe a trailer. Surfed a few days finless to work out the seating arrangement optimum weight distribution. I liked the glide feeling but lost too much down line speed when transitions from rail to rail and losing an edge. Fins give you more drive. Presently I can catch waves or peaks before any SUP surfer or kayaker. 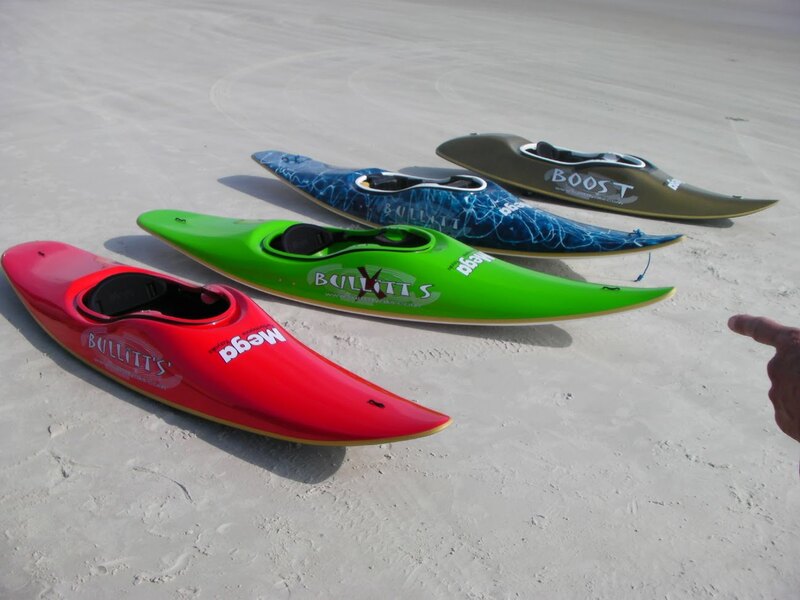 Rocking the boat side to side when paddling generates a little more hull speed and helps with chasing down those elusive waves. The boat is a wave catching machine but still very maneuverable. The Reaction and BullitS both have their strong moves. After a few more weeks I'll probably (maybe) be ready to alternate boats. Just wanted to say thanks. I do get a lot of looks from surfers that know quality craftsmanship when they see it. Also I've turned a few heads with some big surf moves. 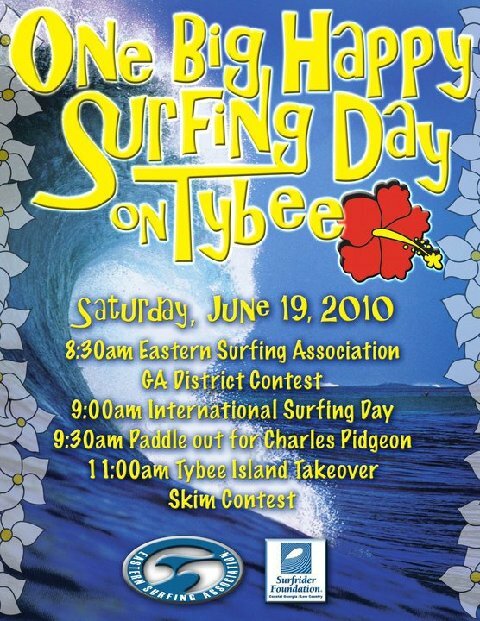 The Coastal Georgia/Low Country Chapter formed during the summer of 2007 to promote the mission of the Surfrider Foundation throughout the coastal Georgia and Low Country region. Active members in this chapter include not only surfers, but also people of all ages involved in skim boarding, body boarding, sea kayaking, kite boarding, wind surfing, and other beach sports. 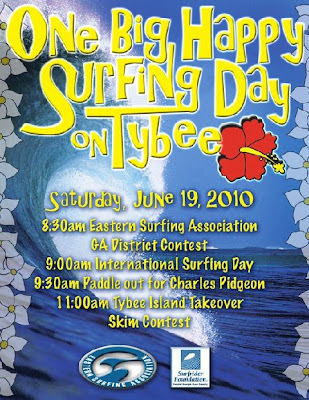 The chapter is currently involved in a variety of projects including beach clean ups, Adopt A Highway program on a section of US Highway 80 across an extensive salt marsh leading to Tybee Island, providing service during ESA Georgia District Surfing Contests, hosting guest speakers for presentations regarding coastal environmental issues, and promoting the Surfrider Foundation at large coastal public events.